Award your martial arts students our Rising Star Karate Trophy! This 6" trophy features a gold rising star figure on a high-gloss black base. Inside the figure, a 2 inch holographic mylar displays a sparring karate fist. 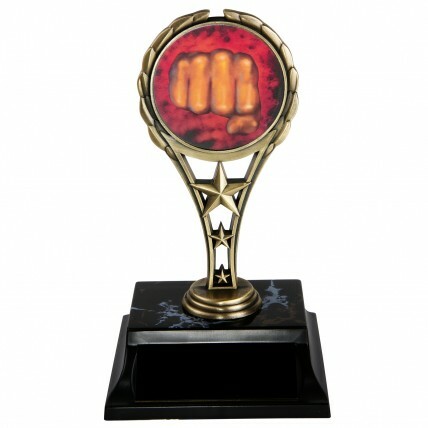 A perfect award for your martial arts achievements!